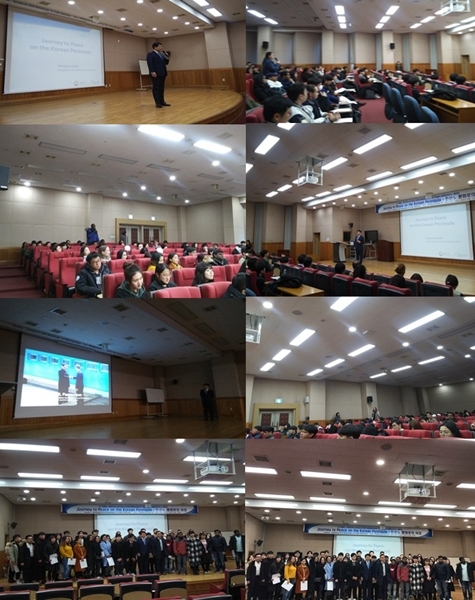 ㅇ This year’s final D-Talks was held at Busan National University on November 23rd. Launched in 2016, D-Talks is one of MoFA’s key public diplomacy projects targeting foreign students in Korea. The project aims to promote Korea’s foreign policies to international students and get their feedback and suggestions. Under the title“Journey to Peace on the Korean Peninsula,”Ambassador Sahnghoon Bahk for Public Diplomacy gave lecture and interacted with students on diverse inter-Korean issues. Some 160 students and professors from various backgrounds gathered in Seonghak Hall to learn more about the future of the Korean Peninsula.